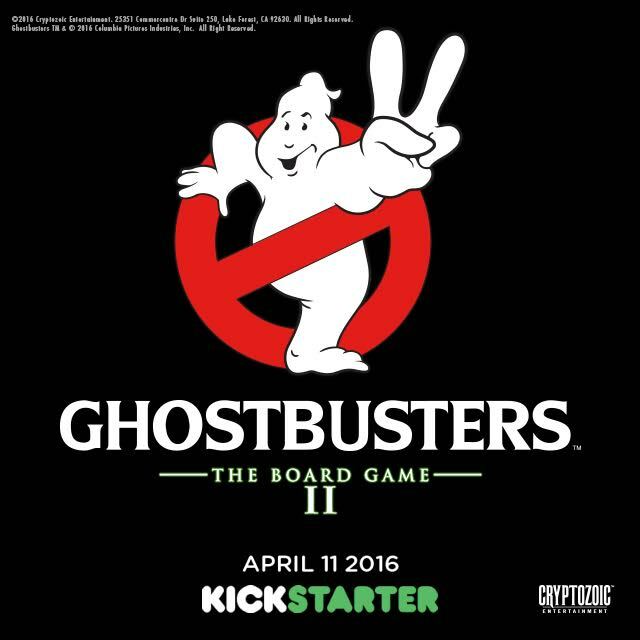 Cryptozoic Entertainment, the company behind DC Comics Deck-Building Game, The Walking Dead Board Game, The Big Bang Theory: The Party Game and Ghostbusters: The Board Game, and Sony Pictures Consumer Products, have announced that an upcoming Kickstarter campaign for Ghostbusters: The Board Game II will be launching on April 11. "Following on the heels of last year's successful Kickstarter campaign and retail release of Ghostbusters: The Board Game, the second game in the series ups the ante with lots of new game elements, including Slime Blower Pack Ghostbusters, Ooze entities that can split apart and join back together, allies, new equipment like Ecto Goggles and Portal Destabilizers, and much more," a previous post on the company's website reads. The game will feature an original story from Ghostbusters comics writer Erik Burnham and new figures based on designs by Ghostbusters comic book artist Dan Schoening. The first game released on November 11 and, despite having no rules about not crossing the streams, landed a 4 star score from The Escapist.